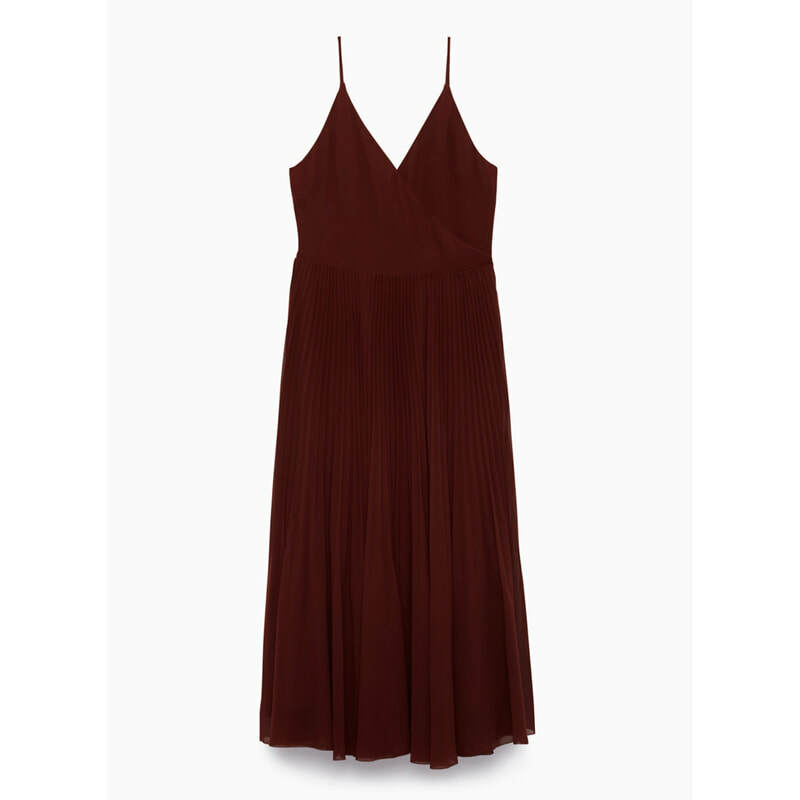 This midi dress by Wilfred is made with a beautiful chiffon. The wrap silhouette and sunburst pleats make for a flattering, flirty fit. STYLE FILE: Wilfred Beaune Truffle Pleated Midi Dress as seen on Meghan Markle.